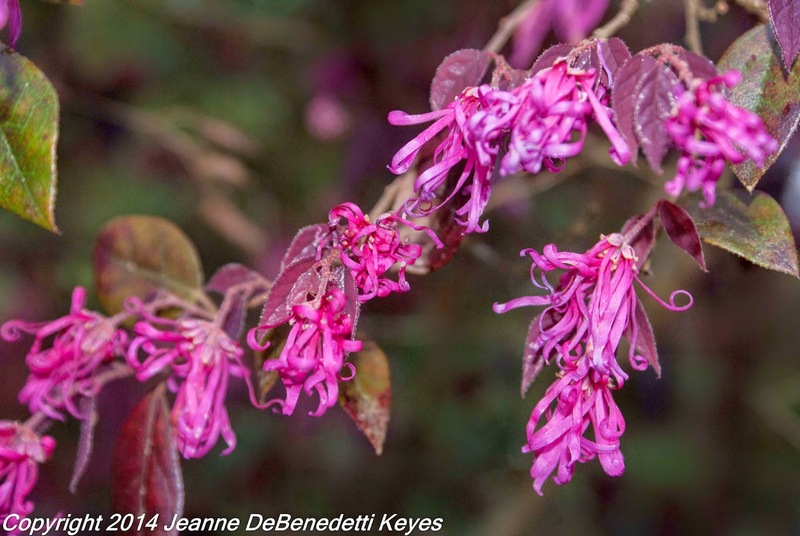 Every spring, the plants out-do themselves, pushing the biggest, brightest, fresh green leaves out of the soil, vying for attention but nothing can compare to the electric magenta color of the petals of Chinese Fringe Flower, Loropetalum chinense var. 'Rubrum'. The slender, spidery flowers are reminiscent of witch hazel flowers (Hamamellis sp.). In fact, 'Rubrum' is a member of the Hamamelidaceae family. Its name comes from the Greek words “loron” meaning strap and “petalon” meaning leaf or petal. 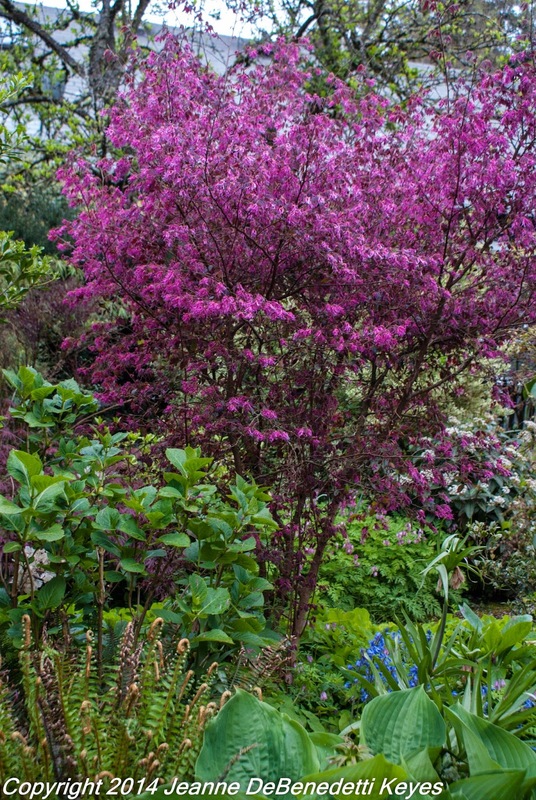 ‘Rubrum’ is a shining beacon in the garden not only for the vibrant color of the petals but for the bright, reddish-purple of the new leaves. The leaves will darken to a deep purple if given a full sun location and are generally retained on the plant all year long. 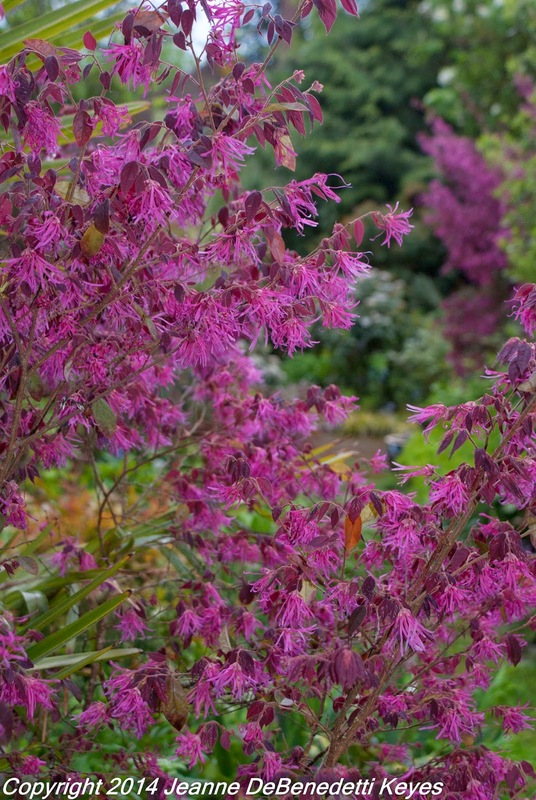 If you don’t care for pink flowers, Loropetalum chinense has the same strap-like petals but in white and sports dark green leaves. Chinese Fringe Flower is a large multi-stemmed shrub, or small tree, growing to 20 ft. Many people find it useful for hedges and foundation plantings but I feel its purpose is better served as a specimen tree, part of a multi-plant border. It needs little pruning to maintain a beautiful shape. Clipping into hedges would be more maintenance and destroy the open canopy of this lovely tree. Native to woodlands of China, SE Asia and Japan, 'Rubrum' is drought tolerant once established. It prefers a slightly acidic soil. Chlorosis, a condition, in which leaves produce insufficient chlorophyll, may occur in neutral to alkaline soils. 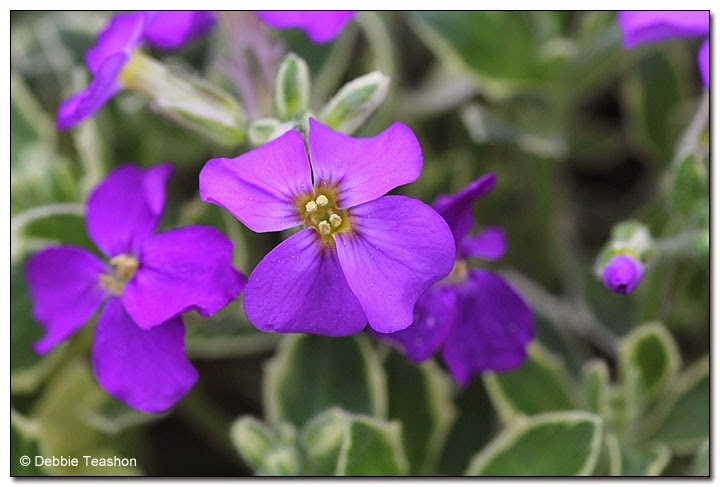 This plant is hardy to -3 deg, USDA zones 7 – 10, but does best in zone 8 or more or in a protected spot in the garden for zone 7. 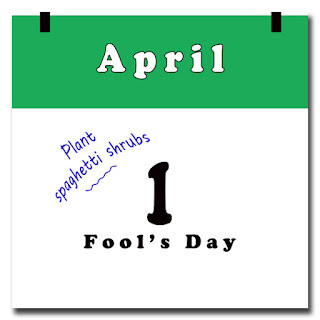 Long ago (last fall) and far away (above my pond outside my window), I had two bags of tulips, one in each hand. 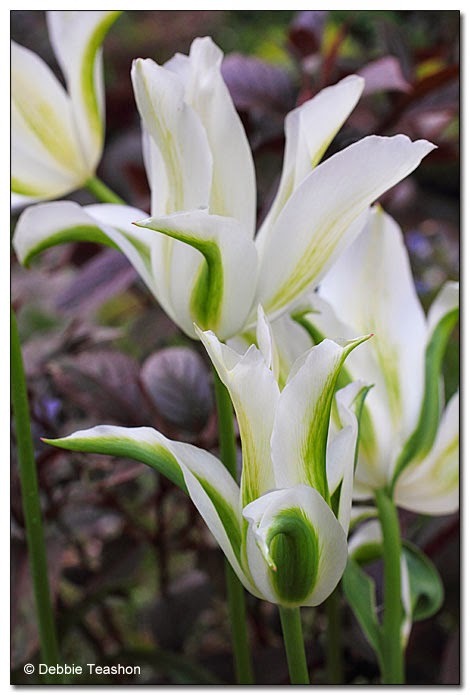 The lily-flowering tulips were marked Tulipa ‘Green Star’ and Tulipa ‘Mona Lisa’. In excitement I dug my holes and planted the bulbs. I had a vision of two clumps of tulips springing from the ground in April adding more color to the exuberant spring show. They sprang out of the ground as predicted and both were lovely. One in white with streaks of green, the other bright yellow with streaks of… um, with streaks of… where are the streaks of red? 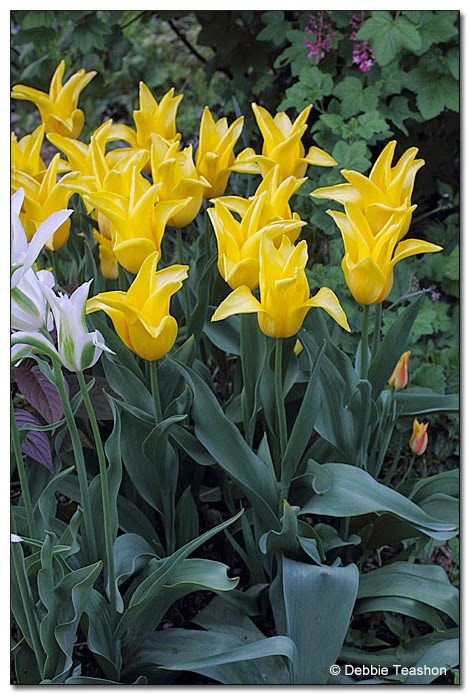 The bright yellow tulips that were supposed to have red markings looked like Tulipa ‘West Point’. I found three little wimpy tulips behind them that looked like they would be ‘Mona Lisa’ like, but the bulk of them didn’t streak as promised. Still, the tulips looked beautiful, and though I am disappointed in not having a Mona Lisa in my garden, the beautiful tulips helped me past the disappointment. I will live happily ever after. Tulipa 'Mona Lisa' wannabe, but looks more like 'West Point'. Oh my gee. 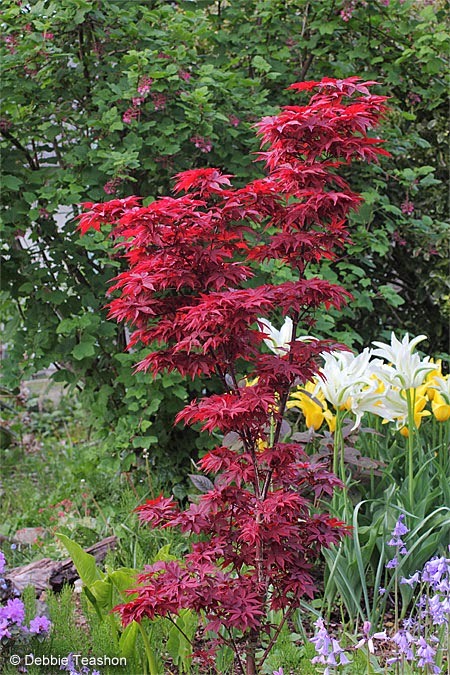 This is Acer palmatum 'Twombly's Red Sentinel'—its first spring in the garden after it was planted last fall. I loved the dark red foliage when I bought it, but the new spring leaf color is fantastic! The columnar habit of this maple makes it worthy of a small garden setting where it won't take up much room, yet provide an exclamation point for three seasons. 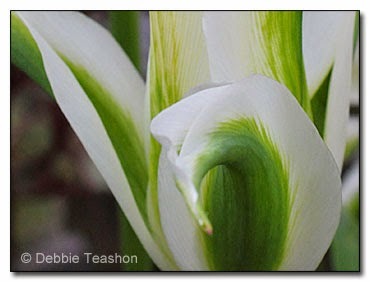 The lily flowering tulips in the background are Tulipa 'Green Star' (yum!) and the yellow one is supposed to be 'Mona Lisa' yellow with streaks of red. However, they didn't streak red (accept for two) and look more like 'West Point'. 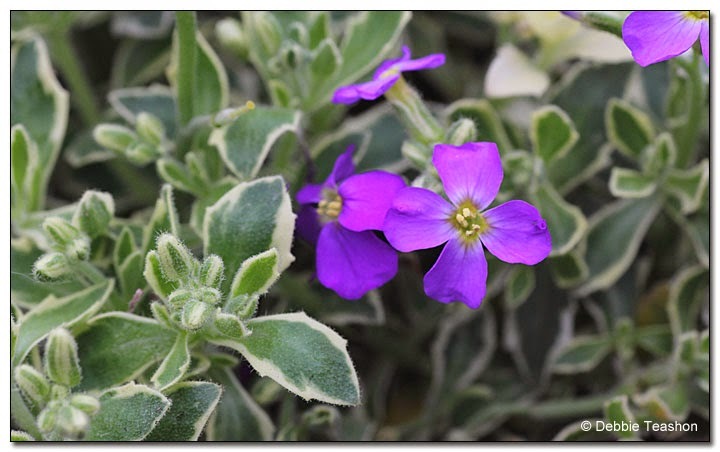 Today's images are brought to you by the variegated rock cress—Aubrieta ‘Doctor Mules Variegated'.